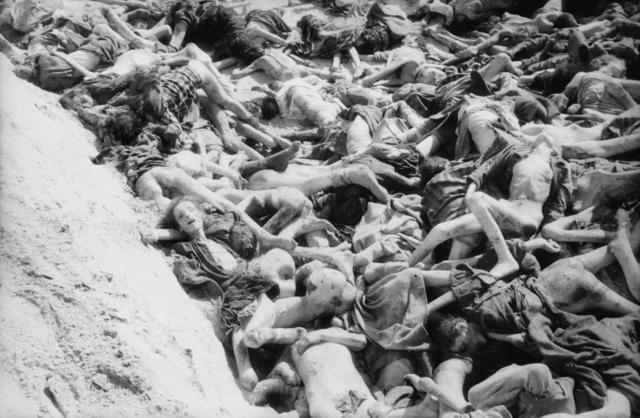 The photo above is of a mass grave in the Bergen Belsen Concentration Camp. The camp was liberated by the British Army 70 years ago today on April 15, 1945, an act that is being commemorated in the news today. NPR has the story of Bergen Belsen Through The Eyes Of Its Liberator. The Daily Mail has an article, Through The Gates Of Hell, that includes never before seen photos taken by British soldiers in 1945. Another article recounts the personal story of a survivor of the camp, “We Did Not Know The Horror To Come.” Billie Halliday, a British expatriate, tells of the horrors he saw at Bergen Belsen in Langley veteran saw best and worst of humanity in WWII. Dennis Kilcommons, a journalist, discusses his own visit to Bergen Belsen forty years ago, an event that impacted on him in precisely the same way as my own visit there, discussed below, impacted on me. Bergen Belsen was a spoke in the wheel of the Final Solution, Hitler’s plan to exterminate the Jews in Europe. The method was to gather Jews and other enemies of the state into concentration camps run by members of Hitler’s praetorian guard, the SS. Jews not murdered en mass in the camps were to be worked to death, forced to labor while on starvation diets. The Third Reich’s Final Solution resulted in the murder of six million Jews, an event the world would later label the Holocaust. There were others sent to these concentration camps as well to suffer the same fate as the Jews – Gypsies, Eastern Europeans, homosexuals, political prisoners and captured Soviet soldiers. Several million of them also died in the Nazi concentration camps. Bergen Belsen Concentration Camp was located in north central Germany. It was one of the less notable of the Nazi concentration camps. The camp did not have a Doctor Mengele to conduct sadistic experiments upon the inmates. Nor was the camp the scene of mass execution in gas chambers like at Auschwitz. Murder on an industrial scale at Bergen Belsen was much slower, though by no means less cruel, horrific, or evil than at the other camps. At Bergen Belsen, murder was brought about by systematic starvation and disease allowed to run rampant. I am not Jewish. I had studied World War II in school, of course, and I was well aware of the horrors of Nazi concentration camps. I had seen the pictures and read the stories of Dachau and Auschwitz. But, as a young man, the horror and revulsion I felt was purely on an intellectual level. I wasn’t even aware of Bergen Belsen until I found myself, two decades ago, driving past it while on assignment in the area. I had some time to spare, so we went into the site. There was nothing left of the original buildings at Bergen Belsen by then. All of the camps buildings had been burned and leveled by the British in 1945. There were several buildings built on the site since to house memorials to the 70,000 Jews, Soviet prisoners of war, and other people who were murdered there. There were mementos in glass cases and thousands of horrible pictures lined the walls. It was indeed heartbreaking to see. 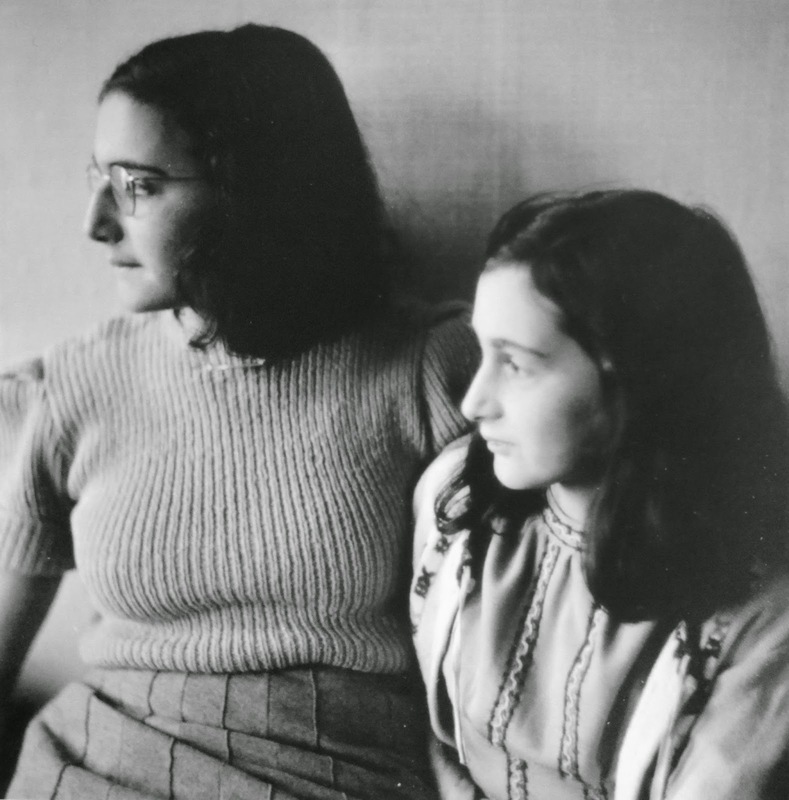 And there were some exhibits given over to the most famous of the Bergen Belsen’s victims, Czech painter and writer Josef Čapek and the sisters, Margot and Anne Frank. At some point, I stepped outside the memorial buildings and began to wander about. I came upon a series of about twenty rectangular grass plots raised up about a foot off the ground, each neatly lined by brick. They varied in size, but the largest I recall was about maybe 9 or 10 yards wide by maybe 20 yards long. Each plot had its own plaque standing next to it. I wandered over to one plot and read the plaque. I don’t remember the exact numbers on that first plaque, but I remembered it said something like “7,000 people buried here.” I wandered to the next plot and read its plaque, and so on and so on. The smallest of the mass graves held the remains of about 1,500 people; the most was over 10,500. As I read the plaques at each of these tiny mass graves, that is when the horror of it all became real. That is when I fully comprehended the evil that was committed there, and was able for the first time to comprehend the magnitude of its scale. There were no more numbers written on pages of books or pictures on a wall. These were tens of thousands of people, murdered and tossed one on top of another into the smallest possible holes imaginable; tens of thousands of murdered innocents but a few feet below where I stood. Most were not soldiers, but simple men, women and children who had done no wrong; vibrant people with families, people with lives that could have enriched the world. That moment of realization has haunted me ever since. What is evil? Moral relativists will say that there is no such thing as evil, but they are are naive fools. No one who visits Bergen Belsen can come away believing that. Evil is easy enough to spot, just hard to articulate. The dictionary defines it as “profound immorality, wickedness, and depravity.” I think that close enough. I certainly saw that at Bergen Belsen and, there, for the first time in its presence, understood it. I don’t think many people truly do – understand evil that is. It is hard until you see it first hand and feel its effects on a visceral level. Many of the WWII generation who are now dying off understood this evil. Many of them saw it first hand. They ended the genocidal evil that was Nazi Germany. And famously, they said “Never again.” We should all thank God that they did.